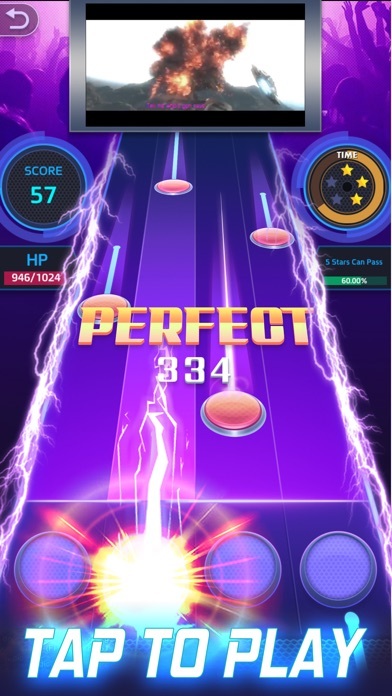 Tap Tap Music-Pop Songs A new music rhythm game. Continuously update various types of songs every week. 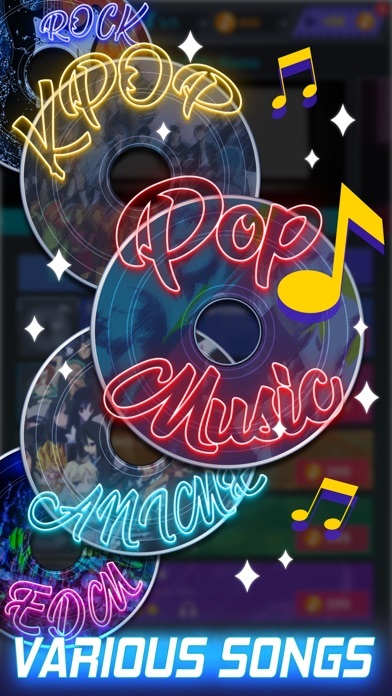 Pop,Anime,Classic,K-Pop,EDM, Rock, Trap, Hiphop, and more... You can always find your favorite song and play it in this music world. How to play Tap Tap Music is a beat tapping game easy to play. Just enjoy the songs and catch up with the beat. 1. 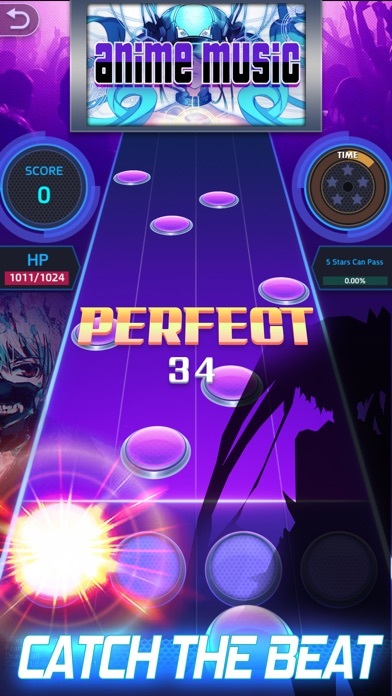 When the MV begin, tap the ball as it reaches scoring areas 2. Don’t miss any ball. 3. Three different accuracies: Perfect, Great, Good. Try to get combo and Perfect as much as possible. The much Perfect you get, the more score you will get. 4. Challenge different level. Try to reach the pass condition of each level. 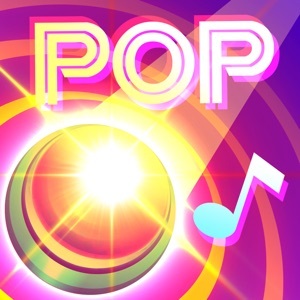 Game Features -Continuously updated pop songs. -Rich and varied song types to suit different musical tastes. -Challenge mode! Level 1 to Level n. Getting harder and harder. Challenge your hand speed. -High quality music songs from YouTube. Enjoy the music natively. -Three different scoring standards for accuracy. 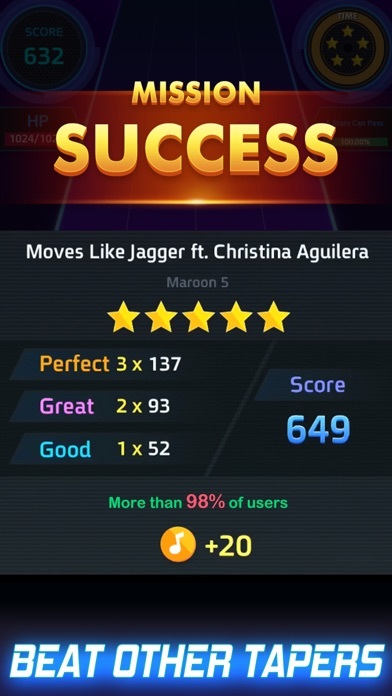 Try to get higher score in every song. 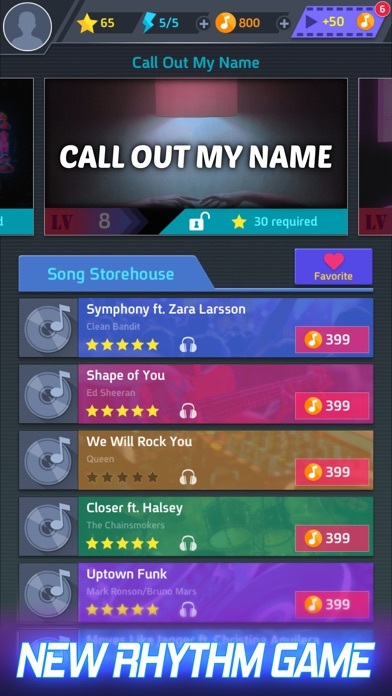 So, get ready and try out this brand new music game for free! 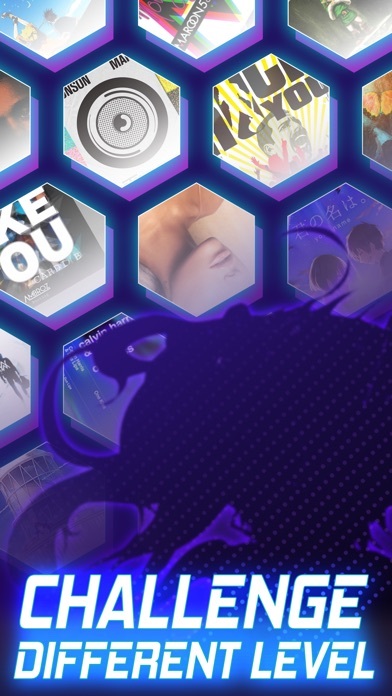 Free music game and music game lovers are waiting for you! If you have any problems about our music game, send the email to [email protected] or contact us in our Facebook page.